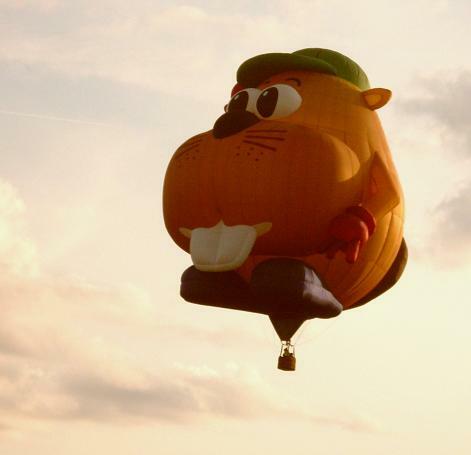 What do you get for the camper who has everything? Here's the truth: We NEVER have everything! Campers lose things, and wear them out, and love having extras. We're not terribly picky. We're practical, too. Here are some last-minute gifts you can grab for the camping enthusiasts in your life. A nice, basic "Swiss Army"-style multi-purpose knife . Everybody loves those! Camp chairs . Yes, really. These wear out and we always need more. Books or bookstore gift cards, if your camping friend is anything like me. Stand-up sport-style gas grill . (Only if they don't have one) Check available accessories, too. Outdoor shade and shelter: new designs from EZ-Up and others are much improved. These bag-up small enough to fit under the Christmas tree! See? We camping nuts aren't hard to please. Big budget or small, there are lots of good gift choices for campers. Sometimes low-tech is best. If you're unsure of the appropriateness of any of these suggestions, just ask subtly before you buy. Or save the receipt. Please note: Amazon links are provided so you can see pictures and prices -- it's WAY too late to order anything for delivery in time for Christmas! What if you lost your house? Could you move into your camper as a fall-back? As we enter Year Two of The Great Recession, this isn't just an idle, round-the-campfire question. When my wife was laid-off last Christmas, we wondered how we would ever pay our $1,000+ monthly mortgage. After all, we'd been spending both of our incomes; how would we get by without her half? What if we had to move out of our home? Were we only joking when we said, "well, we can always live in our camper"? First, let me be clear -- this ain't no Class A Motorhome. 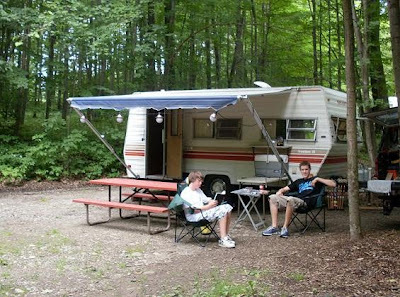 We have a 30-year-old Shasta trailer, bought used for less than a grand and lovingly restored by all four of us. It's about 19 feet long -- counting the hitch!. Compared to our 2,000 square-foot house, it's a closet. When we're camping, it's quite comfy; but could we live in it full-time? We do, however, have a kitchen, dining area, living room/pull-out bedroom, and a teeny tiny bathroom with a "bathtub." As modern camping trailers go, ours is at the "cramped quarters" end of the spectrum. The actual floor space measures 15' by 7 1/2' for a total of just over 100 square feet. For comparison, our one-car garage is three times that size. (The trailers that FEMA supplies to disaster victims are about twice as big as ours.) We do, however, have a kitchen, dining area, living room/pull-out bedroom, and a teeny tiny bathroom with a "bathtub." We have a lot of cabinet space, considering, but only one closet. My wife would have to "adjust" to that one! We're talking a distinct lack of amenities here. We don't have any air-conditioning, though we do have a toasty gas furnace. We boast neither built-in radio nor flat-screen TV; we don't subscribe to Satellite TV. Our only counter space is created by covering the 4-burner stove with a Formica slab. While we do have a booth and a couch, we have no chairs inside at all. Our chairs fold up and slide into canvas bags. 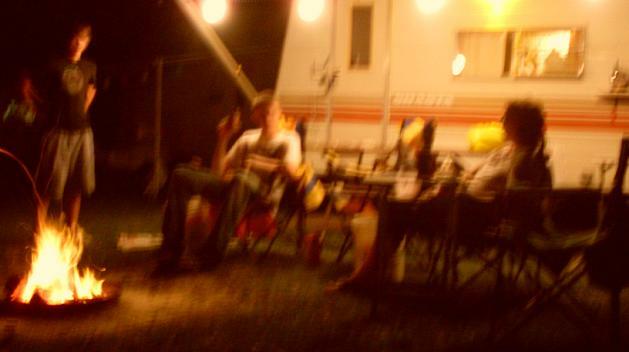 When we hang out, it's generally under out camper's roll-out awning, or by the campfire. And there are some serious practical considerations, too. We can't park our rig just anywhere. We replaced our original dual-power fridge (DOA) with an electric one from Home Depot. We've never used our holding-tank water supply. We need hook-ups! That leaves out Free Parking at Wal-Mart. If we wanted to bum around, camping in our friends' or relatives' driveways, most places prohibit that, except for a weekend stay. So much for that idea. 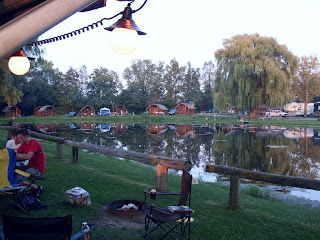 We could have a lovely summer staying at our favorite campground, for about $1,200 (seasonal rate). But that only covers about one third of the year. No way we could stay here in upstate NY over the winter, heater or not. We'd have to move South. As long as at least one of us has a job, that would make getting to work a tad inconvenient. We'd wake up with the sun, and go to bed earlier. We would spend more time talking to each other, listening to the radio, and reading books. Unless, of course, we decided to spring for a dish. 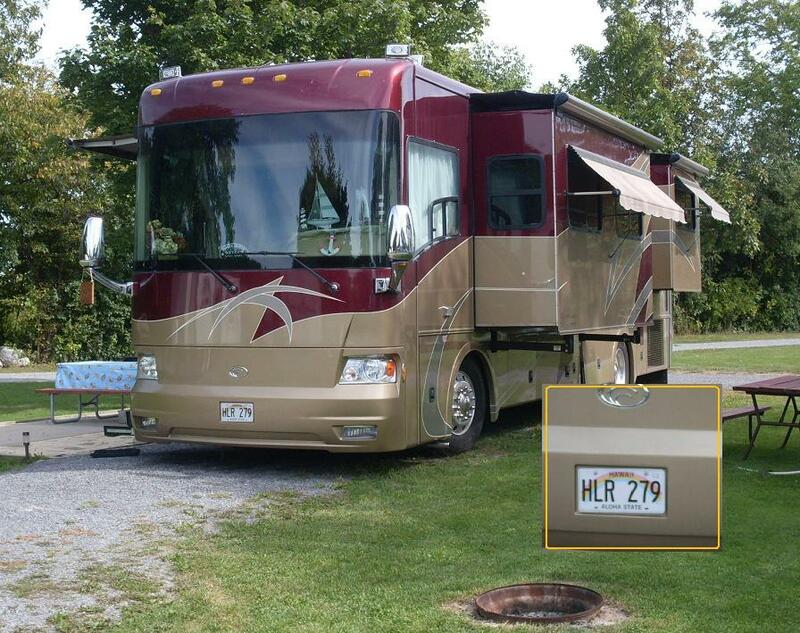 Most campgrounds we like have Wi-Fi, so we could stay in touch with our online friends. We'd wake up with the sun, and go to bed earlier. Have you ever tried living in your camper? I'm sure some of you big-rig owners do it for a few months out of the year. Anybody else? Could you, if you had to? October 28, 2010, Myrtle Beach, SC: Ocean Lakes Family Campground, located along the Grand Strand of Myrtle Beach, SC, will host the 27th Annual South Carolina Fossil Fair Saturday, Oct. 30 from 9 a.m. until 3 p.m. The event is free and open to the public. This marks the 10th consecutive year that this fair has been held at Ocean Lakes. 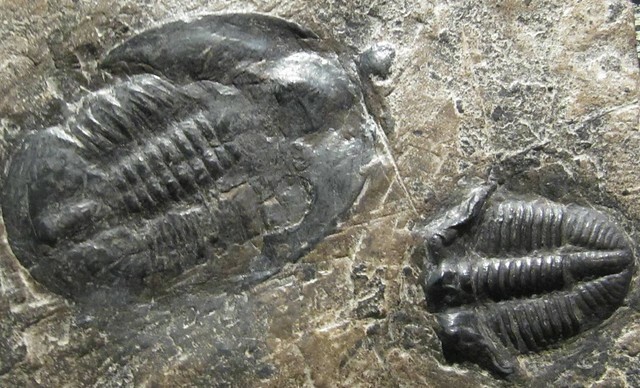 Presented by the South Carolina Fossil Association, the fossil fair features museum specialists from the Smithsonian Institution's National Museum of Natural History’s Department of Paleobiology, who will be on hand to identify fossils brought by participants. Guests can also see fossil and shell collections from all over the world. Hands-on activities are a big hit at the fossil fair. Learn how to recover fossils at a mock dig site. Dig for shark teeth through materials from the PCS Phosphate Mine in Aurora, NC. Participants can make necklaces with the teeth they find and add beads (supplied). Guests can also tour the Ocean Lakes’ Nature Center Discovery Lab, featuring more than 10,000 shells and fossils, from 9 a.m. to 1 p.m. 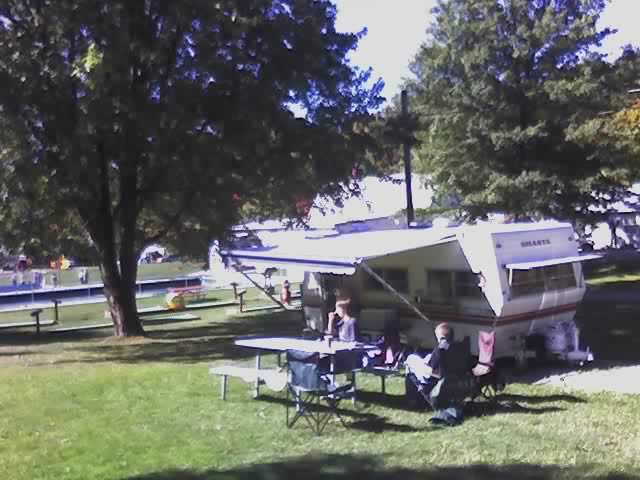 Ocean Lakes Family Campground was awarded the title of 2008-2009 National "RV Park of the Year" by the National Association of RV Parks and Campgrounds, and is the largest campground on the East Coast, with over 310 acres of campsites and beach house rentals. 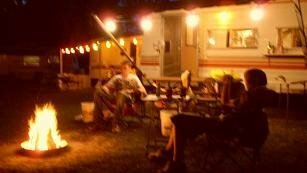 www.oceanlakes.com or find the campground on Facebook. Ocean Lakes Family Campground, a division of The Jackson Companies, is one of the largest campgrounds the United States. 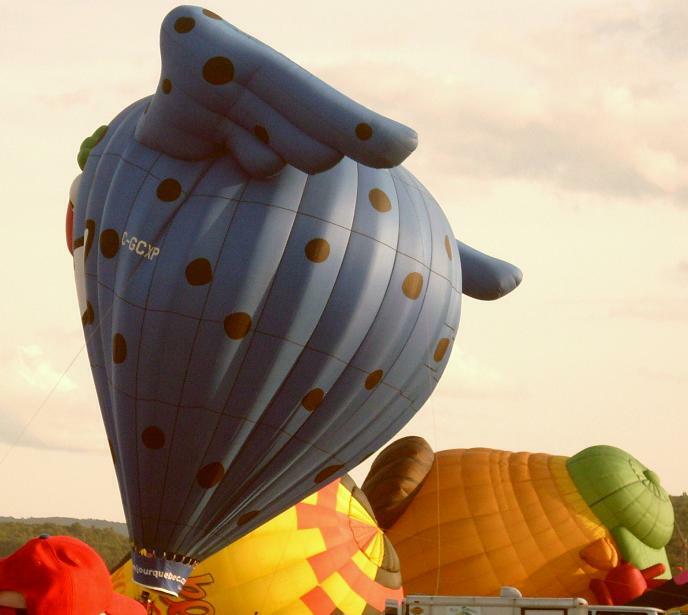 In 2010, it received the Earth Day Award from the South Carolina Department of Health and Environmental Control for its iCare Program. 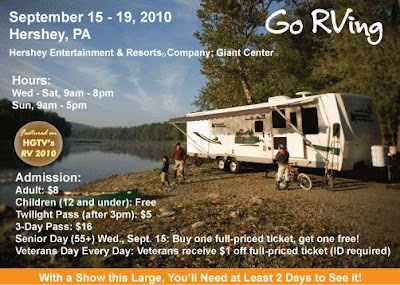 It is the 2008-2009 National “RV Park of the Year” and has received that honor four times. In 2006, Ocean Lakes received the prestigious South Carolina Governor’s Cup for making a significant economic impact on the state. Ocean Lakes offers nearly one mile of beachfront and features 3,447 sites — of which almost 900 accommodate larger RVs. It was built by Mary Emily and Nelson Jackson and their five daughters, and opened with 30 campsites and one bathhouse in 1971. On an average seasonal day, Ocean Lakes has over 25,000 guests enjoying the amenities that have made it a national vacation destination. It currently holds a 9.5/9/9 ranking out of 10/10/10 from the Trailer Life Directory for its overall operation, recreational offerings, services and appearance. If you have a relevant Press Release you'd like to submit, you can reach me via Comments or by using the link at the top of this page. While we were sleeping, and while the drizzly gray days had us yearning for Nap Time, the trees in the Finger Lakes Region quietly dressed themselves in spectacular colors -- finally. Some of our hardier trees still cling to green, and many others are already almost bare; but now the rest have decided to perform in brilliant fashion. The breathtaking palate of colors is enough to distract a driver right into the guardrail. Even the willows have decided to join the party, though they tend to pause half-changed in shades of yellow and pale green like streamers of succotash. It's the oaks, maples and underrated sassafras that own the show, presenting a dazzling array of muted yellows, fiery oranges, and sizzling scarlet. The purple beeches and Japanese maples have the key cameos in shades of burgundy and port wine. Our valleys are filled with mixed stands of birch, poplar, locust, aspen and ash. These prefer pale yellows and deerskin tan, with an occasional blaze of rusty orange mixed in. On the hillsides, however, the big trees dabble in burnt sienna, copper, and old-schoolhouse red. We have fat walnuts, massive maples, shaggy hickories, awesome oaks, more maples, stately sycamores, some big-leafed chestnuts, a spattering of elms that survived Dutch Elm disease, and a whole lot more maples. These old-forest trees have colored our wooded hills like a bomb in a paint store. In town the smaller flowering trees like Dogwood and Crab (and a slew of others whose names I don't know) steal the show. They're dressed in soft tints of red like Cortland apples, leaves perfectly uniform in color. On every corner, by every driveway, burning bush shrubs (Euonymus alata) provide bursts of alarming cheap-lipstick red that looks nothing like fire to me. Boldest of all are the barberry bushes so dark they look like dried blood. The Reds are everywhere! This incredible art exhibit won't last, of course. The brightest colors might not make it to the weekend. Already the fallen leaves decorate our still-green lawns like cinnamon sugar on toast. They flutter to the ground like slow-motion snowflakes -- one here, a dozen there, a flurry of a hundred with every gust of wind. There's a front coming through tonight, bringing pounding rains and threats of dangerous wind gusts. Maybe the show will be over by morning. Somehow I doubt that. Our trees have waited long past their standard deadline. I doubt they'll bare their branches to winter without a battle. It's an invigorating two- to three-hour walk, with breathtaking views of Fillmore Glen and its waterfalls, in the state park named for our 13th President. Wendy and her family took the trek in early October, just before the leaves began to turn. These are just a few of the many beautiful images she captured along the way. Fillmore Glen State Park is open throughout the year, and its adjacent camping area offers a wide array of campsites from mid-May to mid-October. The gorge trails close in November for safety reasons. During the 1930s the Civilian Conservation Corps (CCC) built most of the stone walks, stairs and bridges (seen above). Part of Dry Creek is dammed in summertime to provide a swimming area. Round trip, the gorge trail offers a moderate to difficult five-mile hike with spectacular views. Easier access to some paved trail sections is available from the Cowsheds parking area. Find the park about one mile south of the quaint village of Moravia, birthplace of President Millard Fillmore. Photos reprinted by permission from Wendy Monteuil, all rights reserved..
Fillmore Glen is one of the many beautiful gorges in the Finger Lakes region. Out of all the surrounding parks (Buttermilk, Treman, Watkins Glen), Fillmore is the most rustic and closest to its natural state. Fillmore Glen is an oasis of cool, dense woods crowding into a long, narrow gorge. Its hiking trails offer magnificent views, distinctive geological characteristics (similar to Watkins Glen), including five major waterfalls within the glen. 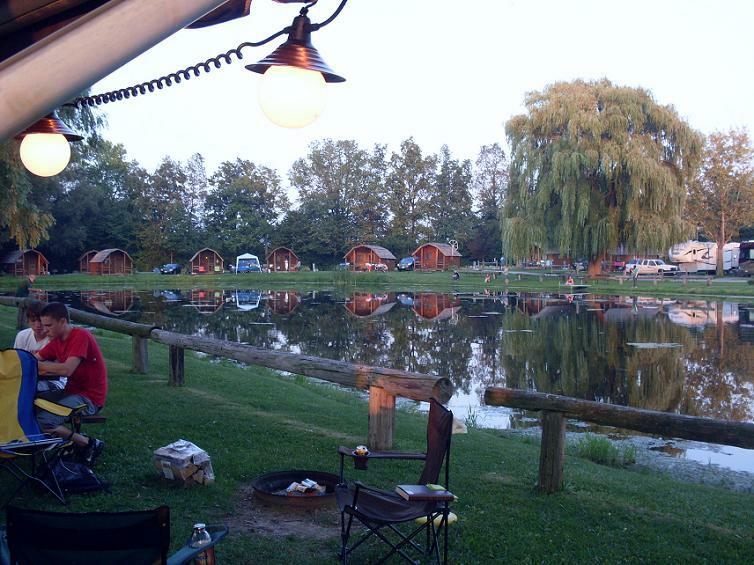 The park has 60 campsites, a stream-fed dammed swimming area and fishing in the Owasco Lake inlet. In the winter the park is often used for hiking, cross-country skiing and snowmobiling. How about you? Do you have trail hike pictures you'd like to share? You can reach me via Comments or by using the link at the top of this page. In New York, autumn is the perfect time of year for adventure. Temperatures cool to a perfectly comfortable setting and hover between the heat of summer and winter’s chill. Foliage falls from the sky, magically twirling in the wind, covering paths in all directions. 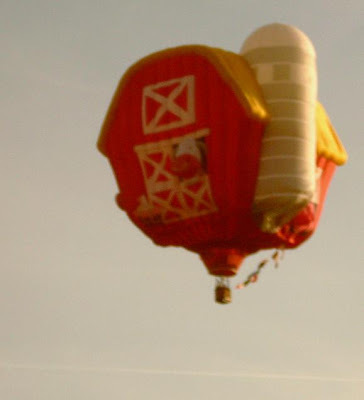 Reprinted from the original published on Helium, by Charlotte Louise Nystrom. Just Camping Out is based in upstate NY. We publish stories and articles about enjoying the great outdoors in this beautiful tourist destination. Coming up, a new photo essay from our recent hike just down the road. Do you have a camping or hiking-related feature you'd like to share? You can reach me via Comments or by using the link at the top of this page. Yesterday, a tractor trailer truck once again pulled up to the worldwide headquarters of Footprint Press, Inc. (i.e. our home). 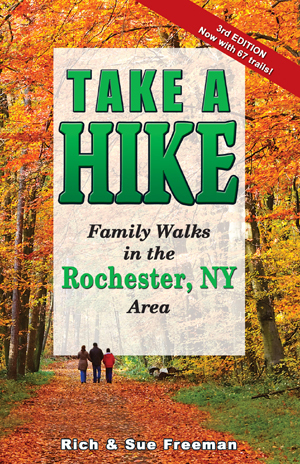 This time, its contents were the bright new 3rd edition of “Take A Hike – Family Walks in the Rochester, NY Area.” The new, updated edition lost a few trails, added quite a few new ones and now sports 67 places to go for a walk in the greater Rochester area. Add a request in the comments line and we’d be glad to autograph one for you. This press release comes from the New York Outdoors blog, hosted by Rich and Sue Freeman. I've said it before and it bears repeating -- this is a great resource for NY State residents and tourists who love the outdoors. Always filled with info about hiking, camping, kayaking, and nature. Before the leaves began to fall, we took a good long afternoon hike in Powder Mills Park, near Victor NY. Trails there range from easy to more than moderate, passing through beautiful stands of northern hardwoods and evergreens. The park includes nearly 400 acres of forested hills and green meadows. There's room for picnics, ballgames, and group gatherings in widely scattered shelters. Don't miss the Fish Hatchery or the amazing Mushroom House near the northeast entrance off Route 96. We started out from the East Area shelter lot at the Trillium trail-head. It's a level stroll along the wetlands, along a steep hillside filled with towering maple, beech, white oak and sassafras. Trillium forms a loop with Ridge, so we veered uphill right away and climbed onto the Ridge Trail. At the eastern end, the Ridge Trail ends and hikers can descend to rejoin the Trillium for the trip back to the parking lot. We took a couple of side trips into the wetlands alongside. This is a view from one of the wooden bridges leading across the marsh. The Ridge/Trillium loop made a fine one-mile hike that left us warmed-up for more. So we backtracked to the Fish Hatchery and trekked into the hilly woods north of Park Road there. After struggling to find our way among the confusing blue blazes of the Hatchery loop, we'd had enough of the Powder Mills' woods for one weekend. It's a gorgeous park with several more miles of trails for us to discover ... on another day. Up next, we tackle a lovely trail that begins just over a mile from our front door. All photos copyright 2010 - Jim Bessey. Reprints provided with attribution. Have you found a great hike in your area? Contact me here if you'd like to post pics and commentary. NOTE: I've been remiss in announcing our Motorola Give-Away winner. I'll make that announcement later on this weekend. Thanks to everyone who entered, for your patience!